Soldiers have summarily killed a Lahu youth activist after attempting to arrest him as an alleged drug suspect. 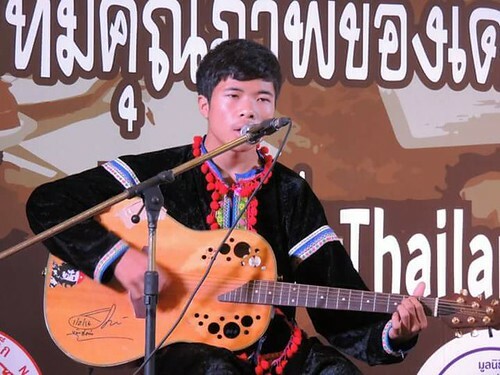 On 17 March 2017, soldiers and other security officers of the Pha Muang Task Force deployed at a checkpoint in Mueang Na Subdistrict of Chiang Dao District in Chiang Mai Province summarily killed Chaiyapoom Pasae, a 17-year-old member of the Lahu ethnic minority. The soldiers claimed that they found a certain amount of amphetamine in the car Chaiyaphum was sitting in and that he resisted arrest by pulling out a knife before running into a bush. The security officers added that when they found the suspect in the bush he was about to throw a bomb at the soldiers, so they shot him. The only civilian witness of the event is Phongsanai (surname withheld due to privacy concerns), the driver of the car, who is now detained by the police. He will be taken to Chiang Mai Prison for remand as the court already approved custody. The killing of Chaiyapoom raises many questions because he was an youth activist who participated in many events to promote the rights of ethnic minorities in Northern Thailand. On 15 March, he was among 19 youth representatives of ethnic minorities who attended a youth activist forum organised by the National Institute for Child and Family Development in Bangkok. He was also awarded a prize at the 16th Thai Short Film and Video Festival for a short film called ‘Belt and Comb’ and several of his short documentaries were broadcast on Thai PBS. The late activist was also a gifted song writer who composed ethnic folk songs about his community.